Team TANDEMKROSS sponsored shooter Matheu Langston joined the competitive shooting world about two years ago, and has been achieving great success in rimfire competition events ever since. An avid shooter since since a young age, Matheu grew up with a strong interest in and respect for firearms. In 2014, he competed in his first Rimfire Challenge competition and hasn't looked back since. 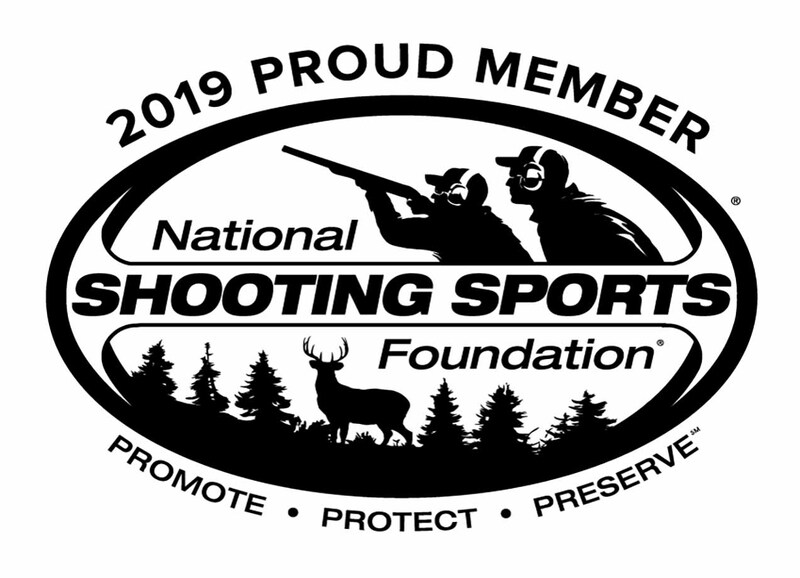 As a member of Team TANDEMKROSS, Matheu has consistently earned top spots at NSSF Rimfire Challenge events around the country, and hopes to one day start competing in 3-gun and USPSA shooting sports competitions. Wondering how Matheu competes at such a high level? While skill and training are key, Matheu also relies on some key upgrades for his Ruger 22/45 rimfire competition pistol. Read on to learn more about Matheu's favorite accessories and upgrades for his 22/45 and learn more about how you can shoot like a champion! 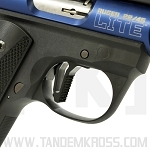 The Ruger 22/45 is the most widely used gun for rimfire challenge. It seems to appear everywhere, from local matches, to world championships. It always finds it’s place. It is very rare though, that you find one completely stock. Mine is VERY far from stock. With some elbow grease and about an hour, your gun can completely transform from average, to exceptional. Many shooters end up changing their guns to fit them. 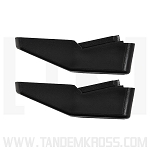 Adding grips for comfort, sights for better transitions, or better triggers for easier shots. In the open division of Rimfire Challenge competitions, optics and muzzle devices can also be added, making shooting easier and faster. 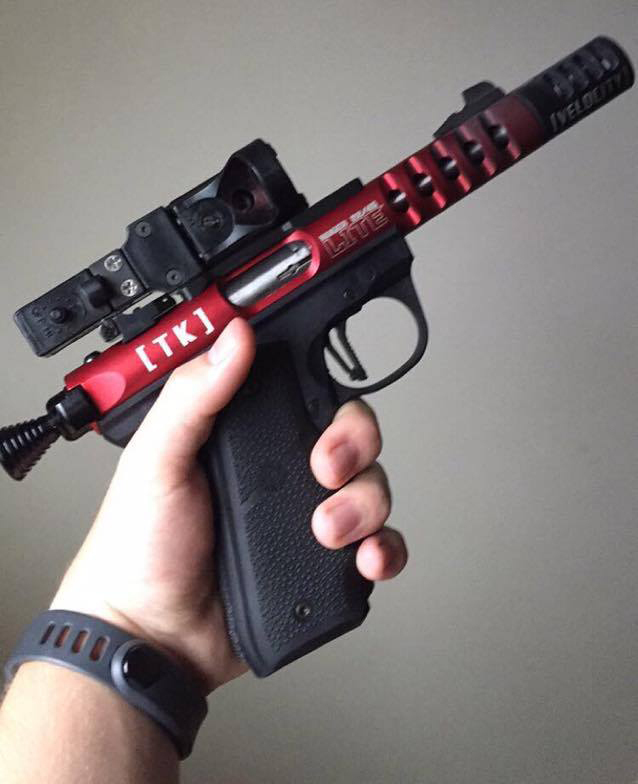 I’ve added multiple things from different brands onto my gun. 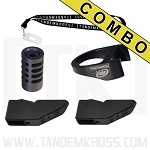 My upgrades are primarily from three brands; Striplin Custom Guns, Hogue and of course, TANDEMKROSS. From Striplin Custom, I have a 90-degree C-more sight mount. From Hogue, I have a rubber over-molded grip with finger grooves. 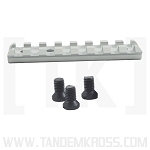 Then from TANDEMKROSS I have the High Performance and Competitor’s Kits, along with other parts for the 22/45. 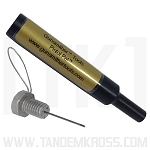 All of these products fill their own niche, which to me, makes my gun perfect. 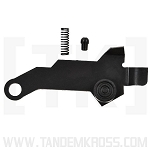 One of the most important upgrades I have on my gun is a Ruger 22/45 trigger upgrade: the "Victory" Trigger from TANDEMKROSS. The trigger, in my opinion, makes the gun. You can have the most upgraded gun in the world, but without a good trigger, it won’t perform. 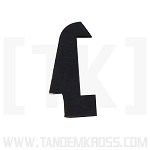 The "Victory" Trigger has two options; textured or smooth. I prefer textured. For me, it works the same way as stippling. It adds just enough texture to get a good grip, but without destroying your finger. 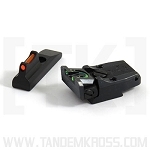 Of course, the pull weight and smoothness is paramount in a trigger. 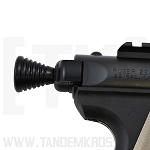 The "Victory" 22/45 trigger has a predictable wall, with absolutely no post- or pre-travel when adjusted correctly. Mine pulls right at 2 pounds. With a little sear work, it could easily drop to just below 1.5 pounds. With the 22/45 in general, there is one annoying “feature”: the magazine disconnect. This makes unloading and disassembly a pain, which only adds to the frustration of 22/45 disassembly. 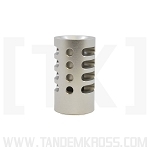 The upgrade that’s the biggest life saver for this issue is the Steel Hammer Bushing, which eliminates the magazine disconnect and even slightly improves trigger pull. 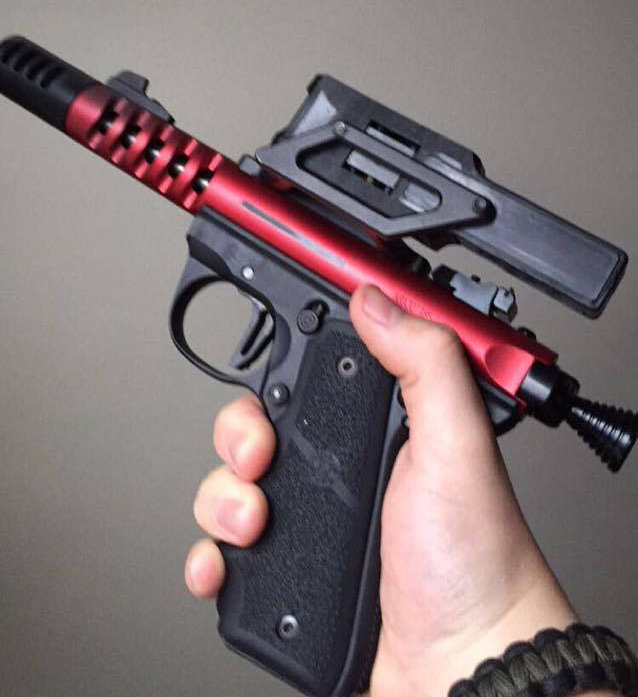 Another one of my favorite 22/45 upgrades is the “Kanewolf” Slingshot Mod. 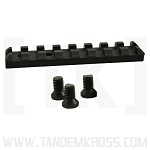 It allows you to rack the bolt rearward on a loaded magazine to chamber a round, rather than using the slide release. This lends itself well to the modern way of loading and unloading. 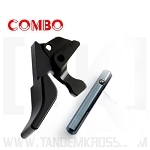 This, paired with the “Challenger” 22/45 Charging Handle, makes a great duo for fast loading and malfunction clearing. I hope this helps you understand the complex world of rimfire raceguns, and helps you decide on what you’re ready to change in your own firearm. Now it's your turn! What’s your favorite gun to use? How have you changed it to fit your needs? 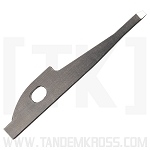 Tell us in the comment section of this blog post, or sign up to share in the forums over at TakDriver.com. Until then, keep shooting and I hope to see you on the range! 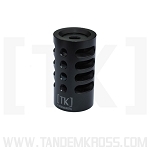 Visit www.TANDEMKROSS.com to learn more about the [ T K ] upgrades Matheu recommends!